As is true with all machined parts, it’s impossible to make all parts the same. In the case of the turbo muffler housing, the distance between the bottom and top of the muffler’s housing will vary from turbo to turbo. The acceptable measurement range is known as a tolerance. The nominal distance between the top and bottom of the turbo muffler’s mounting points is roughly 51 mm. The tolerance on this part can be as loose as +/- .5mm or more. This means some muffler housings will be up to 51.5mm tall, or as low as 49.5mm tall. Since the distance between the top and bottom of the muffler chamber will be different on every turbo, a 1-piece turbo muffler delete will always be either too tall or too short. 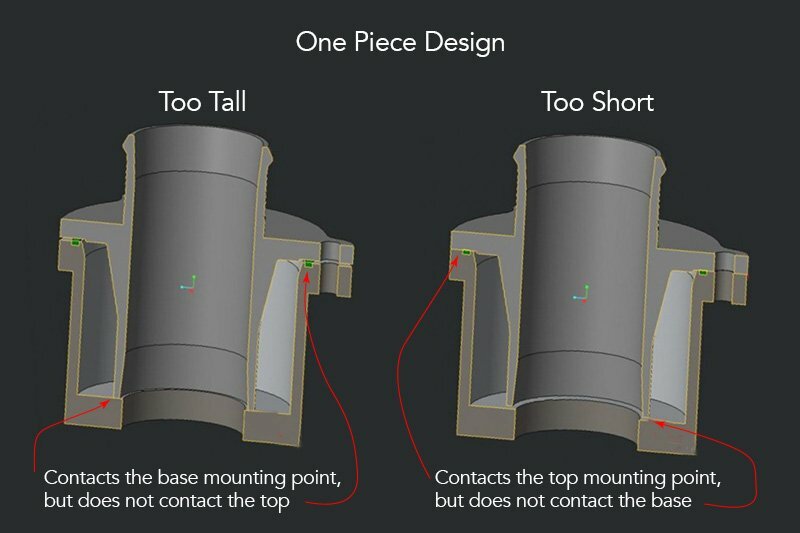 On systems that are too tall, the delete will touch the bottom but will not touch the top mounting point, creating an imperfect seal and potential for a boost leak. If the part is too short, the system will seal at the top, but will leave a small gap at the bottom, thus negating the purpose of the part as illustrated in the diagram below. 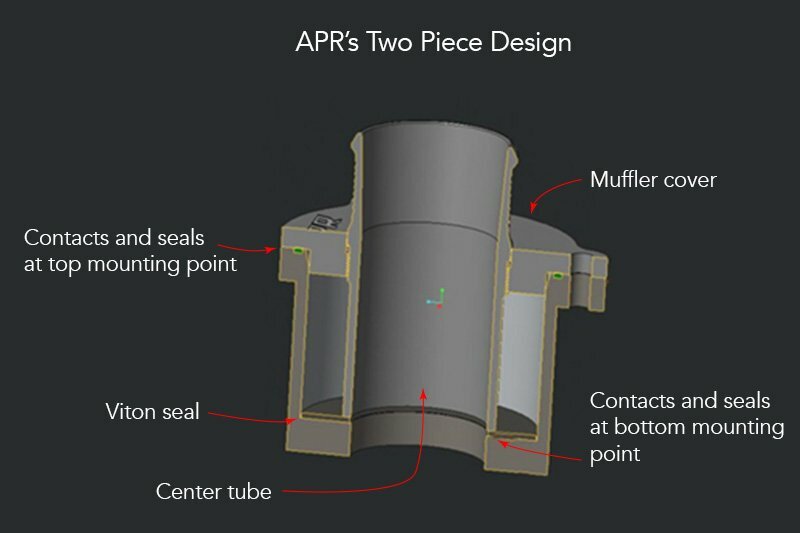 APR’s 2-piece design solves this issue with an adjustable height design. While a 2-piece design is more difficult and expensive to manufacture, it’s the only way to ensure an accurate fit and perfect seal. 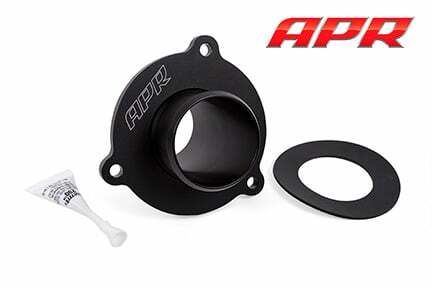 APR provides a Viton seal that’s placed at the bottom of the muffler housing. The muffler cover is then installed forming a seal with the factory gasket. Then, the center tube is inserted and screwed into place to the desired depth, compressing against the Viton seal to ensure a leak proof seal in every scenario. Finally Tension from the seal prevents the tube from coming loose, and the included Loctite provides extra security from movement. With the turbo muffler deleted, the APR design provides a smooth, turbulence free, and leak proof path for airflow existing the turbo!